On busy weekends or larger events, we also ask other local and experienced freelance Mountain Leaders and Instructors to work together with us to provide excellent leadership on the hill. We firmly believe in providing quality staff for all our events and encourage those we work with to be members of the Mountain Training Association. Jenny supports the engine of RAW Adventures in our office base in Llanberis. 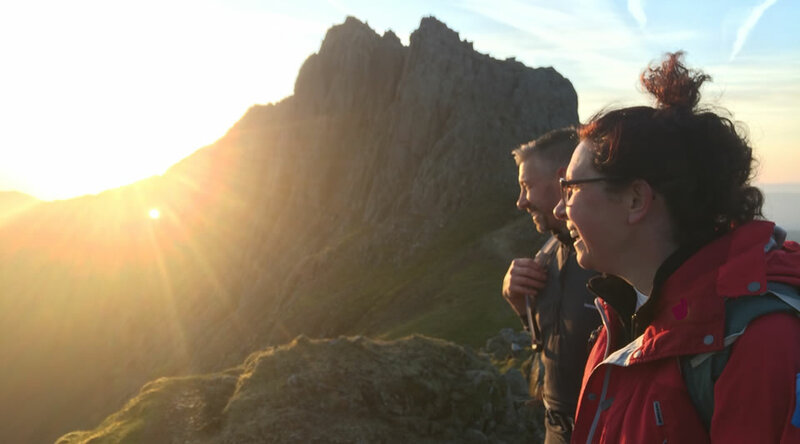 As well as having responsibility for a wealth of business, accounts and operations administration, Jenny loves meeting and greeting clients for larger Climb Snowdon events and is a whizz at event registration processes! Jenny has lived in North Wales her whole life and is a fluent Welsh speaker. She has a passion for all things adventure and loves to be busy and active. Gymnastics, karate, climbing and walking are just some of the sports and activities Jenny has been involved in over the years. 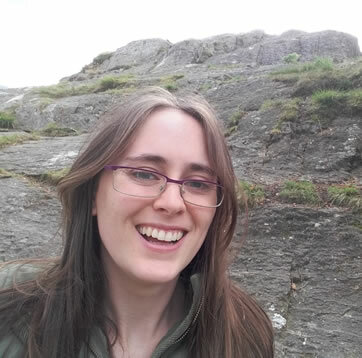 Jenny also enjoys working with children and young adults, especially in the Caernarfon area, and has a desire to see more of these young people experiencing the adventures and beautiful landscapes they have on their door step. Out in the hills from the day he could walk, Dan has an excellent breadth of knowledge of our UK mountains, which helps him plan for and manage some of our larger mountain events and Duke of Edinburgh expeditions. He holds the Mountain Leader and Rock Climbing Instructor qualifications and is working towards a Mountaineering and Climbing Instructor qualification. 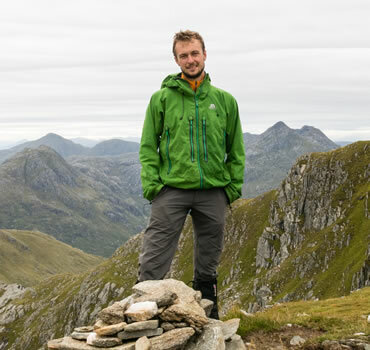 Dan also has a keen eye for photography and will always fit in longer personal trips to Scotland for the extra challenge and remoteness that it offers, for walking and climbing. Dan splits his time between working in the RAW office, supporting general operations and managing our Duke of Edinburgh expeditions groups, to ensuring meticulous event planning is carried out on the hill. Happy clients make for a happy Dan! You’ll often see him accompanied by Alfie The Mountain Dog. 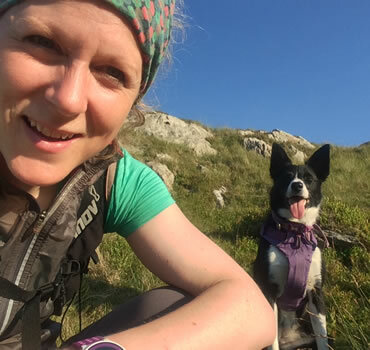 Tabitha has been living and working in North Wales since 2006, working as a Mountain Leader and Rock Climbing Instructor, and holding a range of water and cycling qualifications. 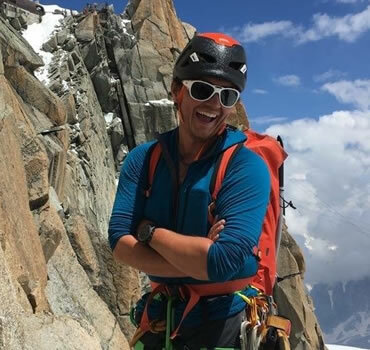 Enjoying life as an Outdoor Educator as well as leading groups in the mountains, Tabitha has also led many overseas expeditions and has personally travelled extensively around Central and South America, Australia, New Zealand and South East Asia. 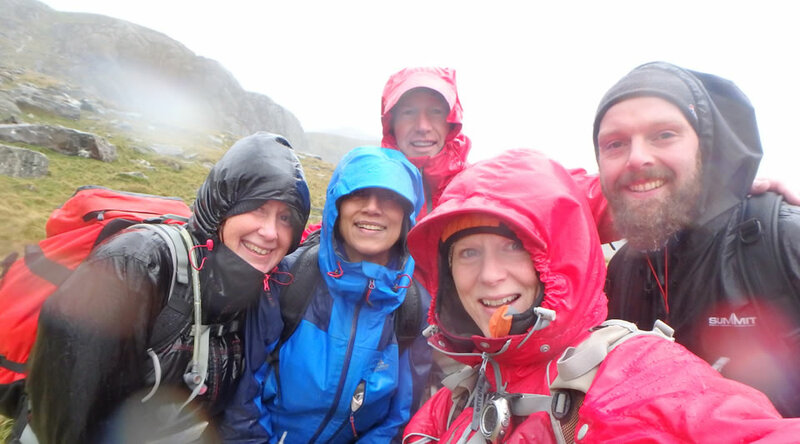 She also puts time towards being a Volunteer Warden on Snowdon over the summer season. Tabitha spends a lot of her personal time on her bike, or walking and scrambling, running the trails or swimming in the lakes. She likes to take part in triathlons and, occasionally, the odd running race! Tabitha is often accompanied by her black labrador, Bailey. For Simon, it’s all about the adventure. He is a very experienced and keen climber, mountaineer and skier, always seeking the perfect journey. Simon loves cold ice and deep powder as much as hot rock and holds the highest of Mountain Training qualifications: Winter Mountaineering and Climbing Instructor, Mountaineering and Climbing Instructor, International Mountain Leader, Rock Climbing Instructor, Mountain Leader and Winter Mountain Leader. He is also an active volunteer member of Llanberis Mountain Rescue Team. 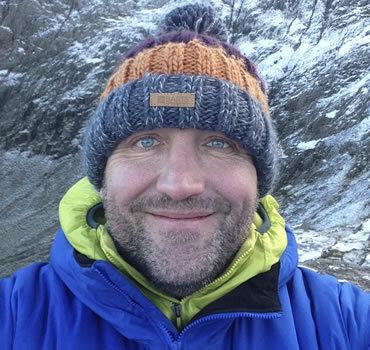 Simon has extensive experience of delivering Mountain Leader training and assessment courses and enjoys finding off the beaten track places in popular mountain areas. 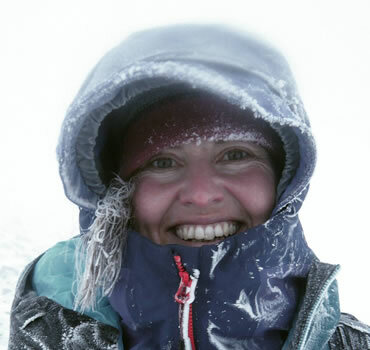 Rebecca holds a wealth of personal and professional experience in the world of expeditions, mountaineering and climbing. She holds the highest of Mountain Training qualifications: Winter Mountaineering and Climbing Instructor, Mountaineering and Climbing Instructor, International Mountain Leader, Rock Climbing Instructor, Mountain Leader and Winter Mountain Leader. Rebecca is not only passionate about exploring new parts of the world, but holds a PhD in Glaciology, and has an excellent knowledge about our mountainous environments to match. Climbing and mountaineering has taken her to all 7 continents and adventures have included making first ascents in South Georgia, Antarctica, travelling home from Nepal overland and solo cycling through Zimbabwe. Rebecca is keen to share her passion and knowledge of travel and adventure both in this country and further afield and she’s regularly planning the next trip away, as well as event speaking and advising others through her Expedition Planning and Leadership workshops. 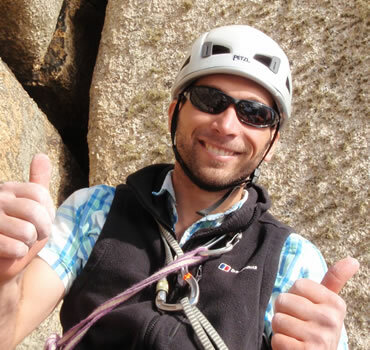 Jason lives in Snowdonia, holds the Mountain Leader qualification and is working towards the International Mountain Leader, Rock Climbing Instructor and Winter Mountain Leader qualifications. Jason has climbed all over the UK, enjoyed high altitude mountaineering and trekking in Nepal, Russia, India, Borneo and Africa. Then add in some ice climbing in the Arctic Circle and numerous trips to the Alps to ski, climb and broaden his adventure experiences. Jason is a Community First Responder for Welsh Ambulance, Wilderness Emergency Medical Technician, Champion for Ordnance Survey, Adventurer Ambassador for Ellis Brigham Mountain Sports and is incredibly keen to help people explore, in safety, the wonderful nature that is on offer in Snowdonia and beyond #GetOutside. Cat has worked in the outdoors for 15 years, on the sea, rivers and mountains of the UK and across the globe. She loves sharing her passion for new places with other people and has led numerous overseas expeditions to the various ranges of East Africa, the Andes and the Himalaya. Personal endeavours include a first ascent of a 6000m peak in Nepal, a pioneering 200km trek through the Indian Jungle and hitchhiking around New Zealand with an orange kayak. She is an avid ski tourer and lover of all things Alpine, dividing her time between summers in the UK and winters in the French Alps. In the UK she primarily works as a Mountain Leader with adult and youth groups. 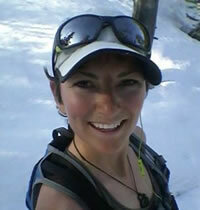 Cat is also a Wilderness Emergency Medical Technician and a Level 3 Canoe and Kayak coach. Cat is currently working towards her Winter Mountain Leader and International Mountain Leader qualifications. Wales is home for Cat and her spare time is usually spent running up a mountain or on the water exploring the many hidden gems Wales offers. Tom was born and grew up in North Wales, and now splits time between working and playing in the Wales he loves as well as overseas destinations for furthering experience and skills. If he’s not in North Wales, you may find him in alpine terrain in Europe or the Greater Ranges in Asia! The fact he has visited 80 countries now and worked in over 30 of them, belies his age. Tom qualified as a Mountain Leader, age 18, and has worked with diverse groups and individuals in the mountains for 10 years now. Now Tom holds the Winter Mountain Leader, International Mountain Leader and Rock Climbing Instructor qualifications. He is also working towards a Mountaineering and Climbing Instructor qualification and regularly works to train and assess others on the Mountain Leader scheme. You may see Tom out with our Welsh 3000s groups, as he has a passion for moving light and fast over mountainous terrain. You may also meet ‘Nonny Dog’ when you’re out with Kate or Ross, as Nonny LOVES to meet new people and enjoys a great day out in the mountains as much as the next person. We will always check with you and your group to ensure everyone is happy with the company of a four-legged Assistant Leader for the day. Some days aren’t appropriate for Nonny to accompany us, but if the cap fits and everyone’s in agreement, then Nonny will be super excited to meet you! She is a friendly and happy-go-lucky, young Border Collie who will stop at nothing for fuss and stroke. She is definitely good company on long ascents... just follow her tail up the hill!